Phở (Vietnamese pronunciation: [fə̬˧˩˧]) is a Vietnamese noodle soup, usually served with beef (phở bò) or chicken (phở gà). The soup includes noodles made from rice and is often served with Vietnamese basil, lime, and bean sprouts that are added to the soup by the person who is dining. 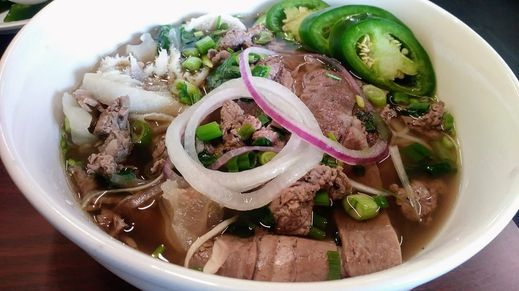 Pho Dien 1960 has successfully been doing business for about 7 years! We could not have achieved this proud milestone without the support and patronage of our loyal customers throughout the years.